I hope you guys have seen the cover and you love it like I do. If not, just scroll down my tumblr. As requested, a snippet from LM to go with the cover reveal. Brotherly love is not such a simple thing..
Julian hesitated. The whole house was still. He could hear the faint crackle of the computer on the other side of the door. He had thought about asking Ty to look into the poison. But that would require him to say, I should be dead. The words wouldn’t come. They were like a dam, and behind them were so many other words: I’m not sure about anything. I hate being in charge. I hate making the decisions. I’m terrified you’ll all learn to hate me. I’m terrified of losing you. I’m terrified of losing Mark. I’m terrified of losing Emma. I want someone to take over. I’m not as strong as you think. The things I want are wrong and broken things to want. He knew he could say none of this. The façade he showed them, his children, had to be perfect: a crack in him would be like a crack in the world to them. “You know I love you,” he said, instead, and Ty looked up at him, startled, meeting his gaze for a flicker of a moment. Oh, Jules! We want to hug him and make his pain go away. 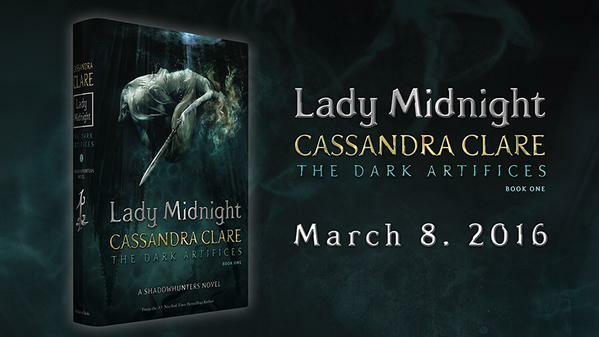 Lady Midnight will be published in 150 days (March 8, 2016)! Can’t wait, can March 8th hurry up already?